It is a beautiful thing when hands, hearts, and minds join forces to celebrate textile diversity and global artisans working to preserve the traditions of handwork and sustainable crafting. 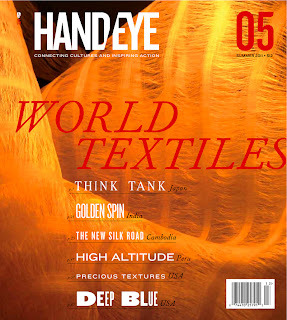 The summer 2011 edition of HAND/EYE magazine has done just this in its latest issue devoted to World Textiles. 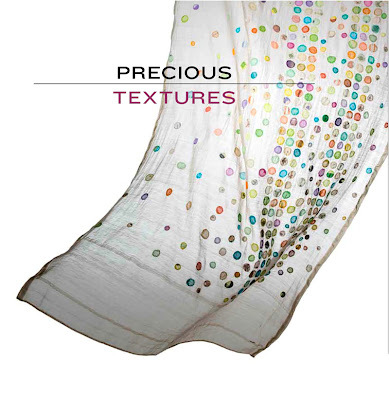 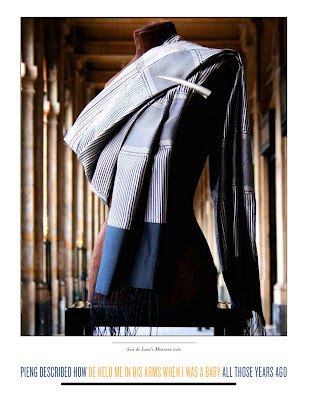 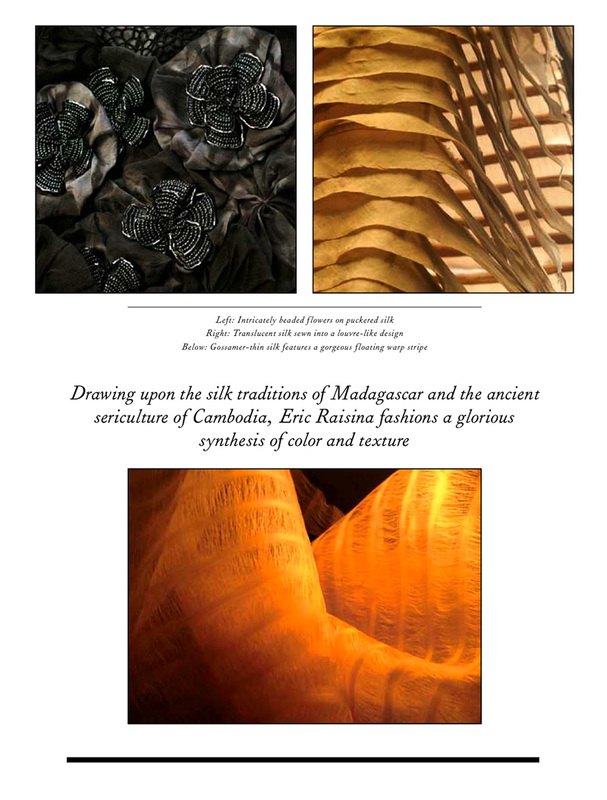 The seventy-two page volume serves as a feast for the eyes, as well as an inspirational guide to socially and environmentally-responsible textile projects and designer initiatives that span countries such as Cambodia, Chile, Colombia, Ethiopia, India, Italy, Japan, Mexico, Peru, South Africa, and The Netherlands, to name a few. 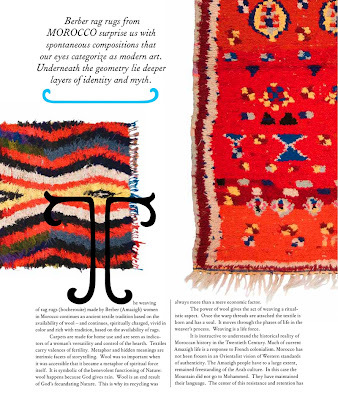 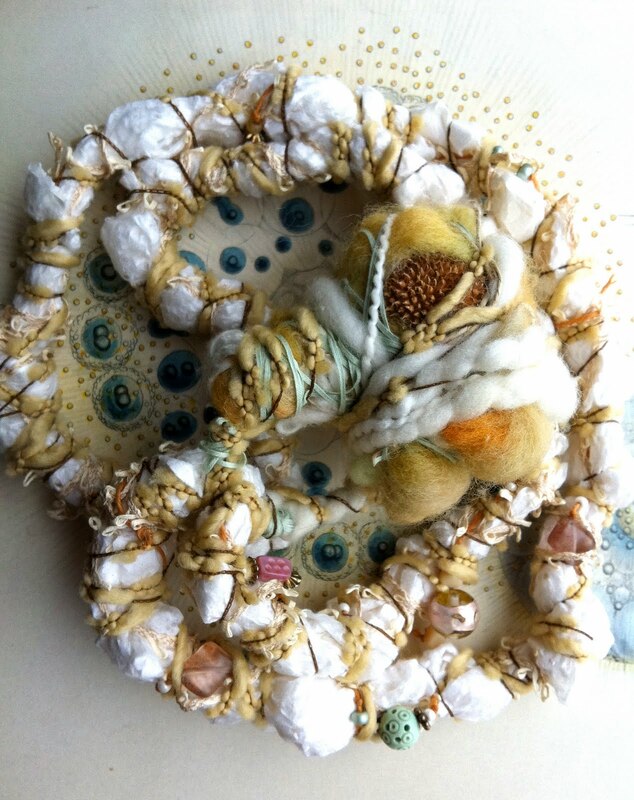 HAND/EYE is devoted to creating bridges between art, design, textiles, and philanthropic outreach through thoughtfully written articles and interviews by invited contributors and guest editors. This latest edition has assembled an impressive line up of individuals who are united by their passion for curation, sustainable textile production, craft-based knowledge, and artisanal methods. India Flint, Christina Kim of Dosa, Birgitta de Vos, Marcella Echavarria, Rowland Ricketts, Kathrin von Rechenberg, Rebecca Schiller, and Keith Recker, are just a few of the contributors and interviewees who have made this issue so complex and rich. 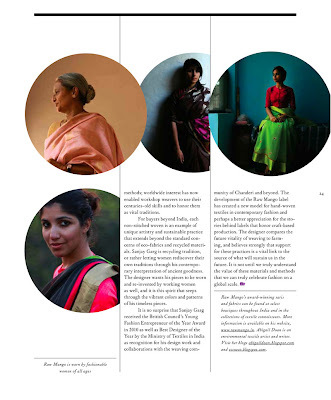 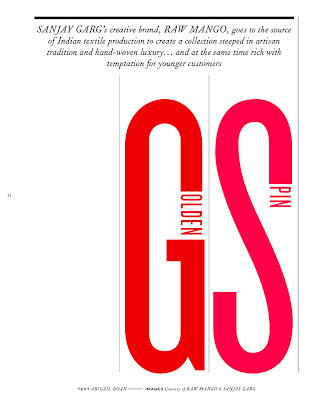 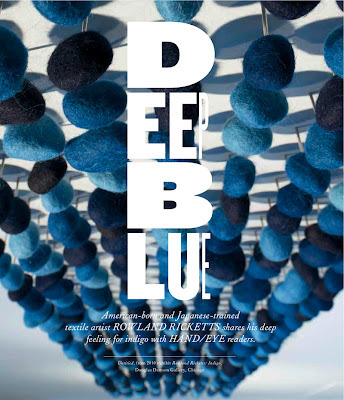 My contribution to this colorful and exquisitely designed issue is an article on Raw Mango and designer, Sanjay Garg. 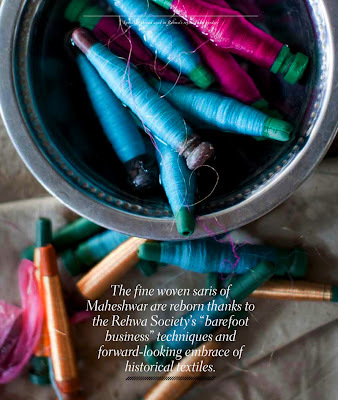 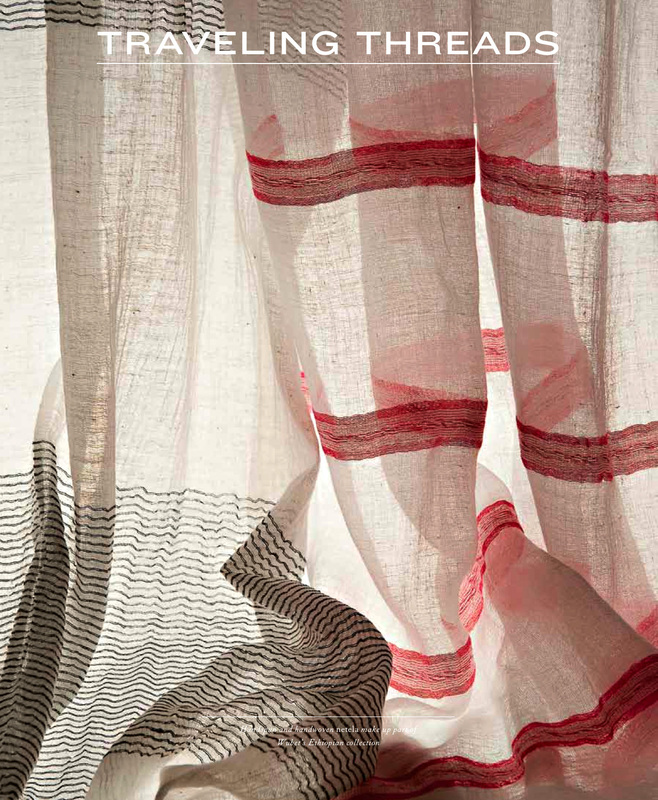 "Sanjay Garg's creative brand, Raw Mango, goes to the source of Indian textile production to create a collection steeped in artisan tradition and hand-woven luxury ... and at the same time rich with temptation for younger customers." As HAND/EYE's Editor-in-Chief, Keith Recker, states in his introduction to the publication, "It is vital that we keep the conversation rolling with stories of creative people from every continent whose textile work contains the seeds for a vibrant future." This is essential for the preservation of ancient crafting techniques and materials, as well as building a bridge to a more sustainable future. You can subscribe to HAND/EYE magazine here. 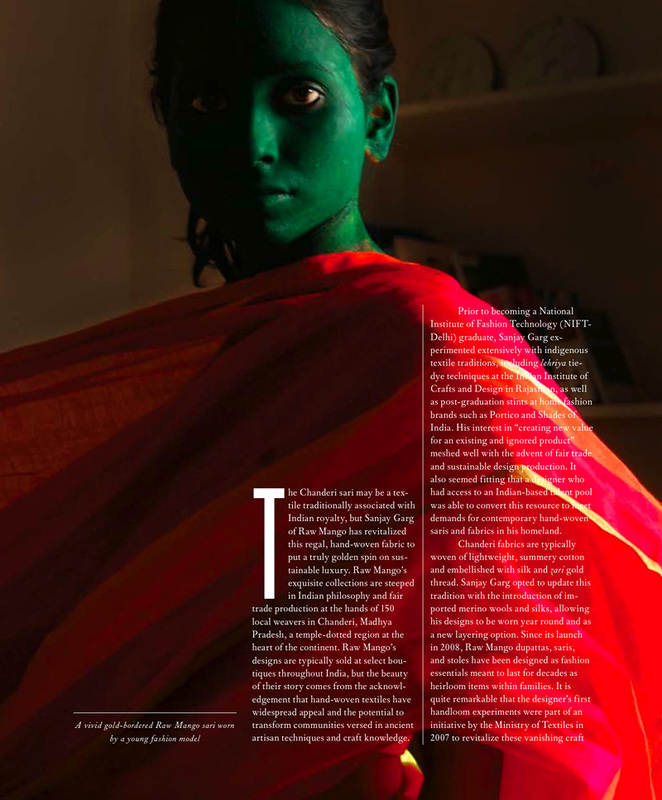 Congratulations to everyone involved in the creation of this gorgeous publication. 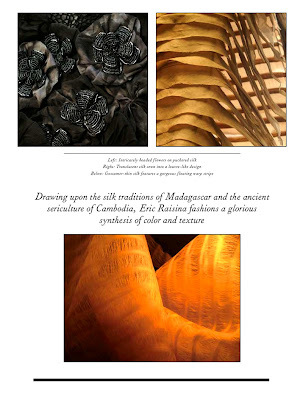 Blog updates and news announcement can also be found on HAND/EYE's Facebook page.